ophthalmologists at the most decent prices. Your strabismus is depressing you and you’ve made up your mind to get rid of it for good? No matter where you live, we help you make a trip to Iran to get it corrected at the best price. To get a free consultation and price quote for strabismus surgery in Iran, fill in the above form, and to learn more about the procedure, continue reading. While undergoing strabismus surgery in your home country may be costly and include a lot of time waiting, a reliable medical tourism destination like Iran can remove all the burdens. Thanks to the great progress made in ophthalmology in this country, Iran has emerged as a favorite destination in this field. 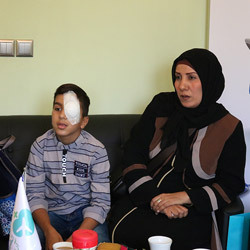 The global record for the highest number of eye surgeries is currently held by an Iranian eye hospital in which 600 operations were performed in only one day. To give you a clear picture of strabismus surgery in Iran, this post is dedicated to all the details you need to know about this surgery, including the procedure, recovery, costs, safety, outcomes and many more. Strabismus, also called 'crossed eyes' or squint, is a permanent deviation of one or both eyes. People with a strabismus eye have the appearance of not looking in a straight direction. Basically, there are six muscles that have the task of direction control and turning function in the eyes. The problem arises when the person loses control of his or her eye muscles. If any of these muscles fail to function properly, it can cause a squint. As a result, a person’s eyes do not look straight. Higher levels of strabismus can be caused by a failure in nerves that are responsible for transferring movement signals to the eyes. In addition to the aforementioned issues, external conditions can also cause this problem. One example is injuries or accidents. Strabismus surgery is a surgical solution to all of these conditions. Strabismus surgery, also referred to as squint surgery, crossed eyes surgery, and eye muscle repair surgery is the surgical treatment of eyes' misalignment. This procedure is used where non-surgical approaches such as vision therapy, wearing glasses, and prism lenses do not help the situation. 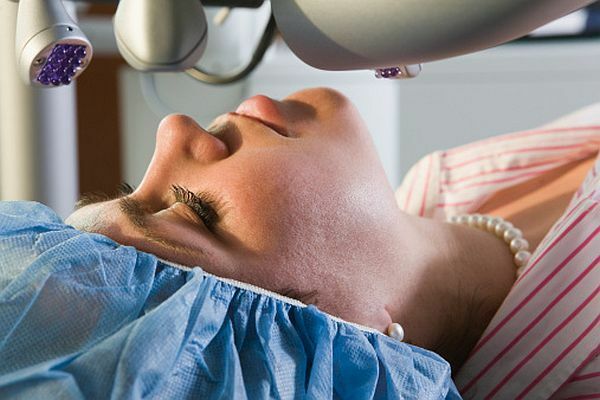 In this surgery, one or more eye muscles are manipulated to correct the eye alignment. Why strabismus surgery in Iran? Iran’s ophthalmology has progressed massively in recent years, currently competing with the United States and Europe. In terms of surgical treatment especially, this country has been able to reach the same level as developed countries. The country is also self-sufficient in required equipment for performing various eye surgeries. 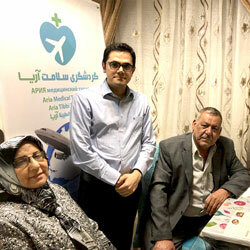 Furthermore, Iran's becoming a pioneer in terms of the number of eye surgeries performed. The most complicated eye surgeries are currently carried out in specialized eye hospitals and clinics across the country with success. The number of visits to Europe for eye surgeries from Persian Gulf countries and some other countries has also dropped and Iran has taken the place of European countries for eye patients. The reason, indeed, lies behind the great proficiency of Iranian ophthalmology specialists. Another strong factor making patients seek their eye treatment in Iran is the affordability of such treatments. The cost of eye surgeries in this country is about 70% lower compared to western countries. There's also zero waiting time for the patients to book their surgeries with one of the best ophthalmologists in the country. 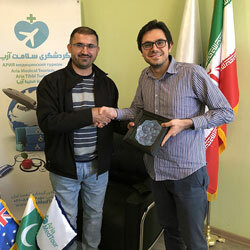 These advantages turn Iran into an ideal destination for those who are in the immediate need for eye correction surgery. The cost of strabismus surgery in Iran is more affordable and it is considerably lower than clinics in the UK, the US or neighboring countries in the region. 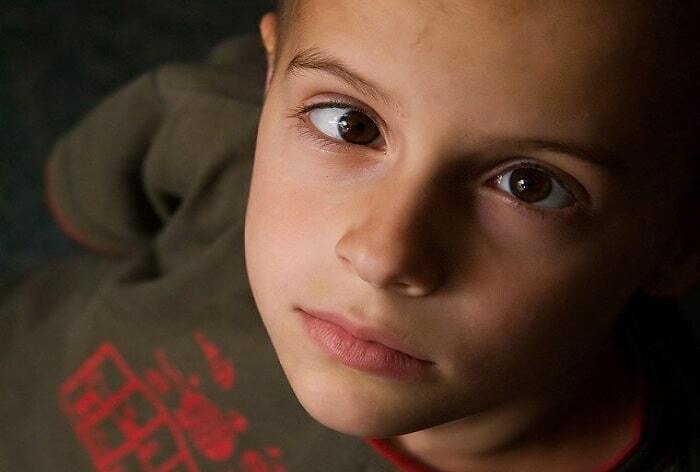 A strabismus surgery cost in Iran is approximately $1,400 to $2,200. However, the cost of this procedure in the United States ranges from $7,000 up to $9,000 or more. Strabismus surgery in Iran takes less than 1 to 2 hours. Most of the time, the patient is not required to stay overnight at the hospital. Depending on whether the candidate is a child or an adult, the surgeon might use either general or local anesthesia. The surgeon keeps the patient’s eyelids open with a speculum. An opening is then made through the conjunctiva to access the muscle. The involved muscle is weakened, strengthened or moved to the intended position. A knot is fastened in place. What to expect before strabismus surgery? Apart from general health check-ups and medical history considerations, the doctor may carry out a set of tests and exams before the surgery. Diagnosis tests include measuring vision clarity involving reading letters, eye alignment testing to measure up whether both eyes focus properly or coordinate with each other. The doctor may also conduct a refraction test on candidates to determine the lens power. Various assessment tests may be advised to determine the structure of internal parts of the eyes. All these tests intend to find any sign of developed strabismus. If that was the case, surgical treatment can be discussed as a final option. The recovery of squint surgery lasts from 1 to 2 weeks. During this period, the patient may experience some level of pain, discomfort and redness in or around the eyes as well as pink or red tears. The patient may also feel that there's an object in the eyes. As the recovery depends on the procedure itself, patients may have shorter or longer recovery periods. Most patients are done with post-op symptoms within a few days. However, some may observe them up until the end of the first month. The full results also show off within 1 to 2 months after the surgery. Strabismus surgery is reported to be a safe and effective option for realigning deviated eyes. According to a study published in the Journal of Ophthalmology, this surgery has a high rate of success. It improves visual function in patients undergoing the surgery, and the complications occur in a minority of patients. Are there any side effects for squint surgery? As with any other surgery, this procedure may be followed by a few side effects. The possible side effects include misalignment, sore eyes and redness, a decline in vision or double vision, corneal abrasion or infection, slight bleeding and the less likely possibility of retinal disorders. Plus, some candidates may face complications resulted from the application of anesthesia. All side effects considered, this type of treatment is regular and patients have seen satisfactory results after the surgery. In sum, it is less likely that patients face severe complications after this surgery. The surgery itself does not result in any pain, as it is done under anesthesia. However, the patient may go through some level of pain and discomfort after the surgery. Depending on the surgery’s extent, the degree of pain will vary. In case of severe pain, painkillers can be used. What to do after crossed eyes surgery? All patients who undergo eye muscle repair surgery need to be in contact with the doctor right after the surgery for more attention or needed medication. It is more suitable if patients stay in for some days to rehabilitate their well-being. Consideration needs to be taken if they have plans for driving or sorts of activities which need a clear vision. 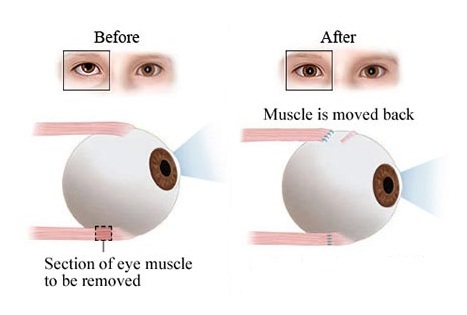 To avoid eyes from losing alignment and to maintain the eye-muscle coordination, patients getting the surgery are required to have vision therapy after the surgery. Regular painkiller and medicines such as ibuprofen, acetaminophen or cool compresses, can be used in case of severe pain. Nevertheless, depending on the candidates’ age, alternative drugs may be prescribed. What procedure of eye care are you looking for?